Thanks for being a part of Kay Botanicals! If you are new here, and having any questions regarding the use of these products or anything else, then do contact our customer support here! I am here to guide and assist you throughout the process of ordering the product online, or you need to know anything about Kratom at anytime. Our top most priority is to make you happy on each visit to us. 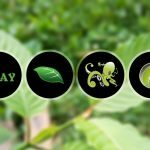 If you visit our Kay Botanicals for the first time, and you have not heard about Kratom before, then you can ask us about Kratom for the full information about this leaf to us. We will explain the benefits in using this plant and how it could help you in healing and relaxing. You can also read our Guidebook that has been provided on the website to know more about it. Don’t have to wait. Let us know what you want and we will try our best to meet your needs and will reply to your queries as soon as possible.